An avenue of mature pines commemorate those who served in World War One. Each person who served has a concrete pillar with a brass plaque with their name and unit. 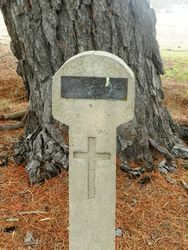 Those who died in service have a cross below their name. There are 52 names on the avenue. 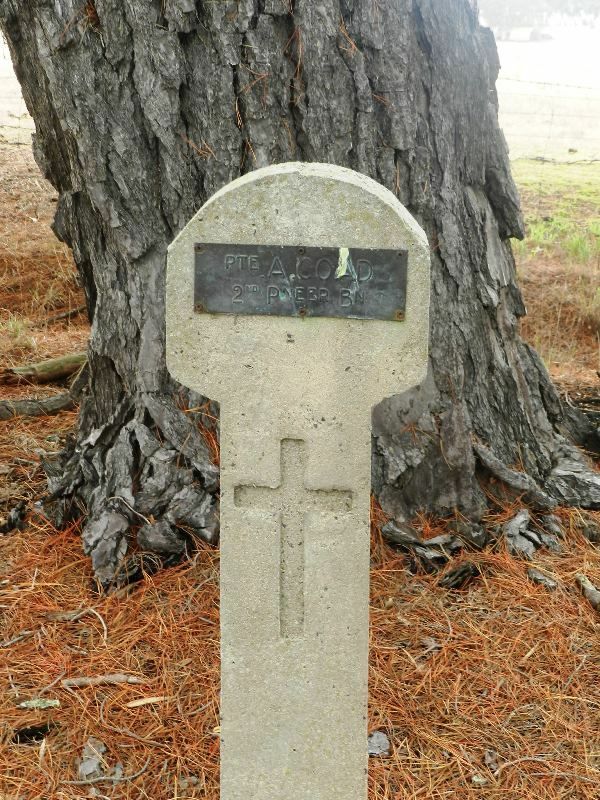 At the suggestion of Cr T. C. Maidment, of Barton, a meeting was held at Moyston on Wednesday last to consider the desirability of planting an honor avenue at the township. There was a large attendance, over forty people being present, and Cr G. Vanstan, J.P., was voted to the chair and explained the object of the meeting. The matter was taken up with much enthusiasm, all agreeing that a fine avenue of trees would be a living memorial to the work accomplished by those who had gone from the district to fight for the great cause of freedom and righteousness in Europe. It was realised that the season was too advanced to plant trees this year, but that by making all preparations now advantage could be taken of early autumn rains to get the trees in, and thus be sure of a good growth before the approach of next winter. It was decided to start a plantation on the main road to Ararat, east from the township. At least fifty trees are to be put in there for a start, and the avenue will be gradually extended. Twenty guineas were donated in the room, the chairman contributing five, Mr and Mrs Maidment each five, and Barton Estate five, Mr J. Fairnie was elected treasurer, Mr A. Lennox, secretary, and the following as an executive committee:- Messrs Vanstan, Maidment, Lennox, Fairnie, C. Mason, Malcolm, Shaw and Smith. Working bees are to be held to prepare the ground for the trees and many ladies of the district are enthusiastically supporting the movement. Ararat Advertiser (Vic), 14 September 1918. The old township of Moyston was enfete on Saturday afternoon last. The occasion was the holding of a working bee in connection with the honor avenue which the people of Moyston had arranged for. The site selected is on the hill just on the Ararat side of the township, and in the vicinity thereof there was a large assemblage of people to take part in the working bee, which was primarily arranged for by Cr F. Maidment. After several of the old decayed monsters had been removed, and the place cleared for some distance preparatory to the planting of trees next season, an adjournment was made to the public hall, where refreshments were partaken of, and one and all congratulated themselves on the start that had been made in connection with the honor avenue. Ararat Advertiser (Vic), 8 October 1918.